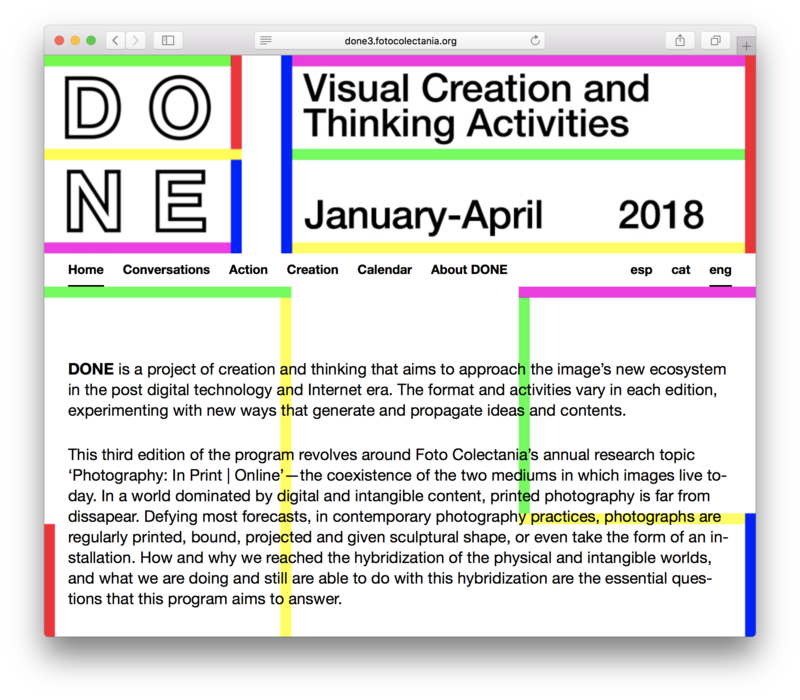 Artistic direction of DONE, a project of creation and thinking that aims to approach the image’s new ecosystem in the post digital technology and Internet era. 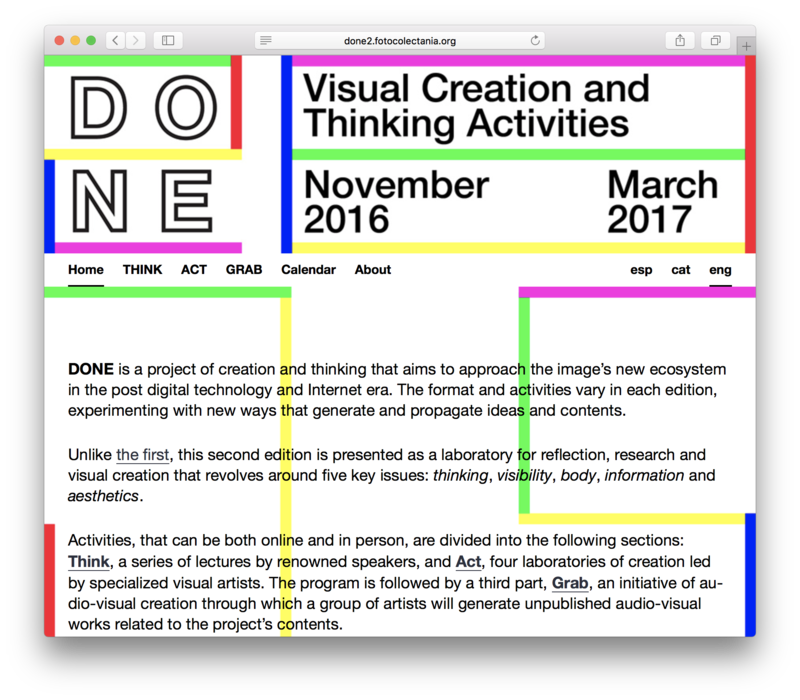 The format and activities vary in each edition, experimenting with new ways that generate and propagate ideas and contents. 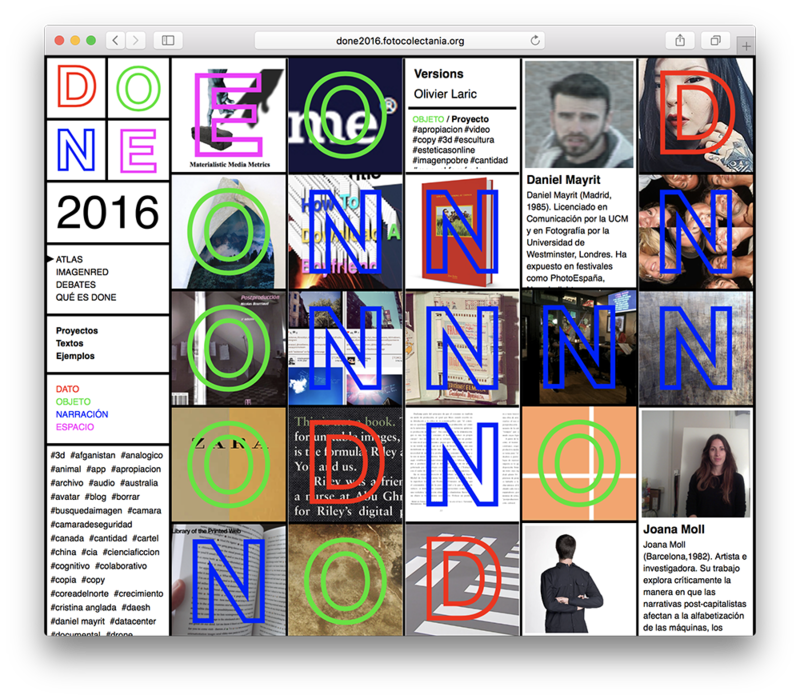 Online debates, lectures, experimental labs and commissioned audiovisual pieces are some of the activities that can happen during the program. This is a project launched by Fundación Foto Colectania where researchers, artists and curators as Daniel Rubinstein, Annet Dekker, Visual Social Media Lab, Mishka Henner, Remedios Zafra, Alessandro Ludovico, Joana Moll, Charlotte Cotton, Silvio Lorusso, Katrina Sluis or Roc Herms among many others have participated.